There are a very, very large variety of different types of capacitor available in the market place and each one has its own set of characteristics and applications, from very small delicate trimming capacitors up to large power metal-can type capacitors used in high voltage power correction and smoothing circuits. 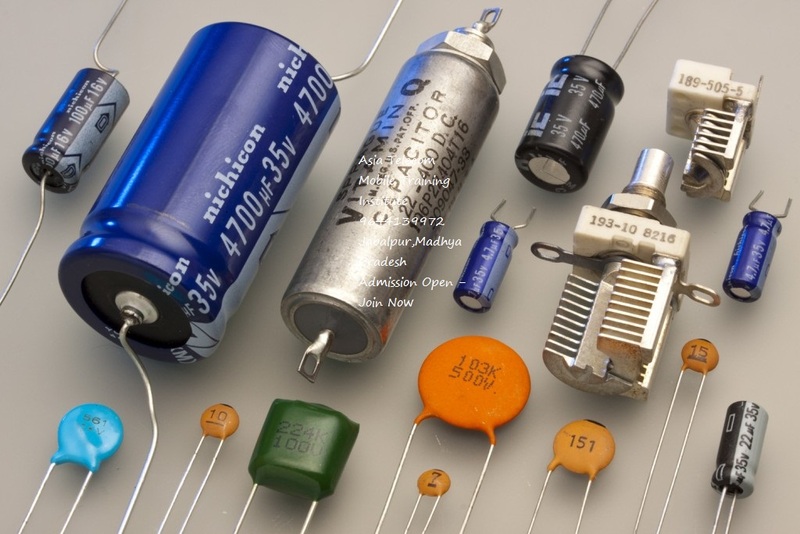 Some of the common capacitor types are ceramic, electrolytic (which include Aluminium capacitors, Tantalum capacitors and Niobium capacitors), plastic film, paper and mica. Each capacitor type has its own advantages and disadvantages. The characteristics and areas of applications may vary from one capacitor to other. Hence, when choosing a capacitor, following few of many factors must be considered. Size: Both the physical dimension and the value of the capacitance is important. Working Voltage: It is an important characteristic of the capacitor. 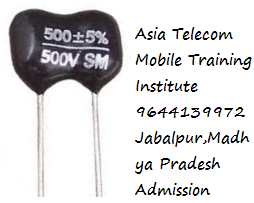 It specifies the maximum voltage that can be applied across the capacitor. Leakage Current: A small amount of current will flow through dielectric as they are not the perfect insulators. This is called leakage current. Equivalent series resistance: The terminals of the capacitor have a small amount of resistance (usually less than 0.1Ω). This resistance becomes a problem when the capacitor used at high frequencies. These factors determine how and in what applications a particular type of capacitor can be used. For example, the rated voltage of an electrolytic capacitor is larger when compared to a ceramic capacitor in the similar capacitance range. So they are generally used in power supply circuits. Similarly, some capacitors have very low leakage current and others have very high leakage current. Depending on the application, appropriate capacitor should be chosen. The last three are used in electrolytic capacitors. Despite the use of different kinds of dielectrics in the construction of capacitors, the functionality of the capacitor doesn’t change: to store energy in the form of electric charge between the parallel plates. Like resistors, capacitors are also available as fixed and variable types. Variable capacitors are those in which the capacitance can be changed either mechanically or electronically. Such capacitors are generally used in resonant circuits (LC circuits) for tuning radios and impedance matching in antennas. These capacitors are usually called Tuning Capacitors. There is another type of variable capacitors called Trimmer Capacitor. These are fixed on PCB’s and are used for the calibration of the equipment. They are non-polarised capacitors and are very small in size. They are generally not available for the use of regular customer. The capacitance of variable capacitors is very small which is usually in the order of few picofarads (generally less than 500pF). Symbols of Variable and Trimmer capacitors. Mechanical variable capacitors consist of a set of semi-circular metal plates fixed on the axis of a rotor. This setup is placed between a set of stator metal plates. The overall capacitance value (C) for this type of capacitors is determined according to the position of the moving metal plates with respect to the fixed metal plates. When the axis is turned, the area of overlap between the stator plates and rotor plates will vary and the capacitance is changed. In this design, when the two sets of metal plates are fully meshed together , the capacitance value is generally at maximum value. High voltage type tuning capacitors have large air-gaps or spaces between the plates with relatively large break down voltages in order of kilo volts. 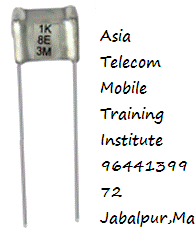 For this reason these dielectric capacitors are very useful in tuning circuits. Mechanical variable capacitors generally use air or plastic foils as dielectric. But the use of vacuum variable capacitors is increasing as they provide better working voltage range and higher current handling capabilities. The capacitance in case of mechanically tuned capacitors can be varied using the screw on the top of the capacitor. In case of electronically controlled variable capacitors, a reverse biased diode is used in which the thickness of the depletion layer will vary according to the applied DC voltage. Such diodes are called as Variable Capacitance Diodes or simply Varicaps or Varactors. Ceramic capacitors are the most used capacitors in the electronics industry. They are also the most produced capacitors with over 1000 billion units being produced every year. The name comes from the ceramic material which is the dielectric used in its construction. The construction of these types of capacitors is very simple. A small ceramic disc is coated with silver on either side. Hence they are also called as Disc Capacitors. The ceramic acts as dielectric (insulator) and the silver coating will form the electrodes. The thickness and the composition of the ceramic layer will determine the electrical properties of the capacitor. In order to achieve large capacitance values, multiple layers of such disc are stacked to form a multi-layer ceramic chip capacitor (MLCC). Modern electronics generally comprise of MLCC capacitors. The capacitance of the ceramic capacitors is large when compared to their size. In order to achieve this large capacitance, the dielectric constant of ceramic capacitors is very high. Ceramic capacitors are divided into two classes based on the areas of applications. Wrap & Fill (Oval & Round) – where the capacitor is wrapped in a tight plastic tape and have the ends filled with epoxy to seal them. Epoxy Case (Rectangular & Round) – where the capacitor is encased in a moulded plastic shell which is then filled with epoxy. Metal Hermetically Sealed (Rectangular & Round) – where the capacitor is encased in a metal tube or can and again sealed with epoxy. with all the above case styles available in both Axial and Radial Leads. These film types of capacitors require much thicker dielectric material in order to avoid the punctures and tears in the dielectric film. Hence these are suited for low capacitance value and large sizes. Polypropylene capacitor is one of the many varieties of film type capacitors. Polypropylene capacitors are the capacitors that have a polypropylene film as their dielectric. Polypropylene capacitors are available within the capacitance ranges from 100 pf to 10µF. The main feature of Polypropylene Capacitor is high working voltages up to 3000 V. This feature makes polypropylene (pp) capacitors useful in circuits in which operating voltages are typically very high, such as power amplifiers particularly valve amplifiers, power supply circuits and TV circuits. Polypropylene capacitors are used when a better tolerance is needed than what a polyester capacitor can provide. Polypropylene capacitors are also used in coupling and storage applications due to their high isolation resistance values. And also they have stable capacitance values for frequencies below 100KHZ. These polypropylene capacitors are used in the applications where we need to perform the tasks of noise suppression, coupling, filtering timing, blocking, bypassing, and handling pulses. Polycarbonate capacitors are the capacitors that have a polycarbonate material as its dielectric. These types of capacitors are available within the capacitance range of 100pF to 10µF and have the working voltages up to 400V DC. These polycarbonate capacitors can operate with a temperature range of -55°C to +125°C without de-rating. These capacitors have very good temperature coefficients, due to these reason polycarbonate capacitors are preferable. These capacitors are not used in the high-precision applications because of their high tolerance levels of 5% to 10%. The polycarbonate capacitors are also used for AC applications. Sometimes they are also found in switching power supplies. 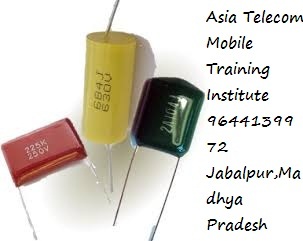 Silver Mica Capacitors are capacitors that are made from depositing a thin layer of silver on a mica material as its dielectric.The reason for the use of silver mica capacitors is that their high performances compared to any other type of capacitors. 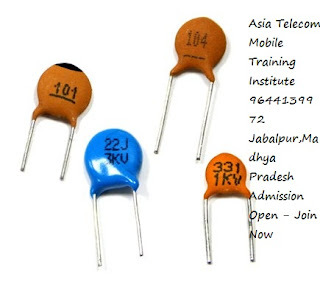 Silver mica capacitors can be obtained with the tolerance of +/- 1%. 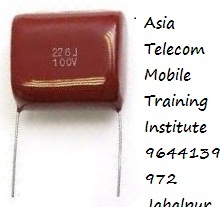 This is much better than any other type of capacitor which is available in today’s market. The temperature co-efficient of silver mica capacitors is much better than other types of capacitors. And this value is positive and it is normally in the region of 35 to 75 ppm / C, with an average value of +50 ppm / C. Capacitance values for silver mica capacitors are normally in the range between a few pico-farads to 3300 pico -farads.Silver mica capacitors have very high levels of Q and also have small power factors. The silver mica capacitors have the voltage range between 100V to 1000 V.
Silver mica capacitors are used in RF oscillators.The silver mica capacitors are not used in coupling and decoupling applications because of their high cost. Due to their size, cost and also the improvements in other types of capacitors these are not used nowadays. Electrolytic Capacitors are generally used in the applications where very large capacitance values are required. The electrolytic capacitors have a metallic anode covered with an oxidized layer generally used as its dielectric. 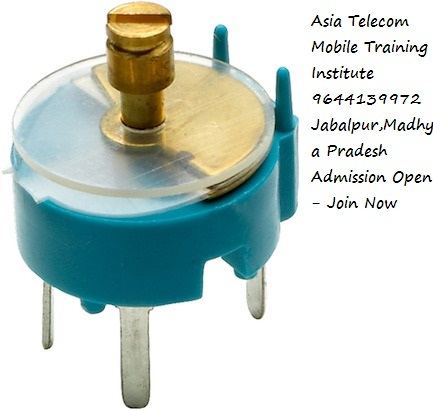 Another electrode of a capacitor is a non-solid or solid electrolyte. Aluminium electrolytic capacitors: Here aluminium acts as its dielectric. Tantalum electrolytic capacitors: Here tantalum pent oxide acts as its dielectric. Non solid (wet or liquid): These capacitors have the conductivity nearly 10ms/cm and these are available with low cost. Solid manganese oxide: These capacitors have the conductivity nearly 100ms/cm and also have high quality and stability. Solid conductive polymer: These type of capacitors have conductivity approximately 10000 ms/cm and also the ESR values of <10mΩ. Electrolytic Capacitors are generally used in direct (DC) power supply circuits. These are also used in the applications of coupling and decoupling to reduce ripple voltage, due to their large capacitance values and their small size. One of the main disadvantages of electrolytic capacitors is their low voltage ratings. Aluminum Capacitors are capacitors that are made of oxide film on aluminum foils with a strip of absorbent paper between them which is soaked in an electrolyte solution and all these design can be sealed in a can. Basically there are two types of Aluminum Electrolytic Capacitors they are plain foil type and etched foil type. Plain foil type electrolytic capacitors are mainly used as smoothing capacitors in power supply circuits while etched foil type capacitors used in coupling DC blocking and by pass circuits. Electrolytic aluminum capacitors cover the capacitance range of1uF to 47000uF and large tolerance of 20%. The working voltage ratings range up to 500V.These are cheaper and easily available in the market. The capacitance value and voltage ratings are either printed in uF’s or coded by a letter followed by three digits. These three digits represent the capacitance value in pF where first two digits represent the number and the third one is the multiplier digit. 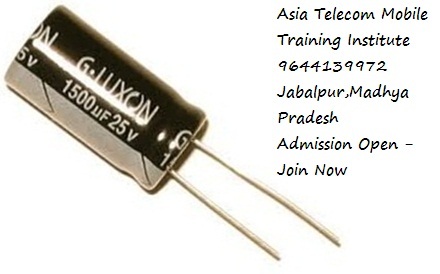 Tantalum Capacitors are capacitors that are made of tantalum pent oxide as its dielectric material. Tantalum electrolytic capacitors are also polarised capacitors like aluminum capacitors.Tantalum electrolytic capacitors are obtained in both the types of wet (foil) and dry (solid). The second terminal of tantalum electrolytic capacitors is smaller than the terminal of equivalent aluminum capacitors and that terminal is made with manganese dioxide. The main advantage of Tantalum Electrolytic Capacitorsover aluminum capacitors is that they are more stable, lighter and smaller. They have capacitance values range from 47nF to 470uF and maximum working voltage up to 50V.These are costlier than aluminum electrolytes. The properties of the tantalum oxide dielectric are low leakage current and better capacitance stability. These properties oftantalum oxide dielectric cause to use them in blocking, by-passing, decoupling, filtering and timing applications. And also these properties are much better than the dielectric of aluminum oxide. The super- capacitor is also known as ultra-capacitor or electric double-layer capacitor. These capacitors are made with a thin electrolyte separator which is flanked with activated carbon ions. It differs from a regular capacitor,the capacitance value of a super capacitor is very high and it is in order of milli farads with the voltage ranges of 2.3V to 2.75V. Double-layer capacitors: These capacitors have carbon electrodes or their derivatives. Pseudo capacitors: These capacitors have metal oxide or conducting polymer electrodes. Hybrid capacitors: These capacitors have asymmetric electrodes. Super capacitors are mainly used in the applications, where very high number of charge/discharge cycles is needed, where long lifetime is required and where the large amount of power is needed within a short time.The typical applications range of super capacitors are from milliamp current and milli-watts of power with a duration of few minutes to several amps current and several kilo watts power within a shorter period. These super capacitors are generally used as temporary power source, as a replacement of batteries.